On the last night of the Democratic convention, speaker after speaker reminded the American people why they need to re-elect President Barack Obama. Former Michigan Governor Jennifer Granholm raised the audience to their feet reminding voters President Barack Obama’s decisions saved the auto industry from the brink, brought it back to global success and by doing so, created jobs. He launched into a speech light on specifics, but heavy on staying the course. He laid the case for four more years and threw some jabs at the opposition. Obama stayed on course with his message of hope and change. He spoke convincingly of shared opportunity, shared responsibility being the best way to create shared prosperity. He ended the convention with a page from the Kennedy playbook, he asked the American people to share in the journey, he asked the American people to work with him to return to prosperity and he asked America for their vote to take us forward-not back. 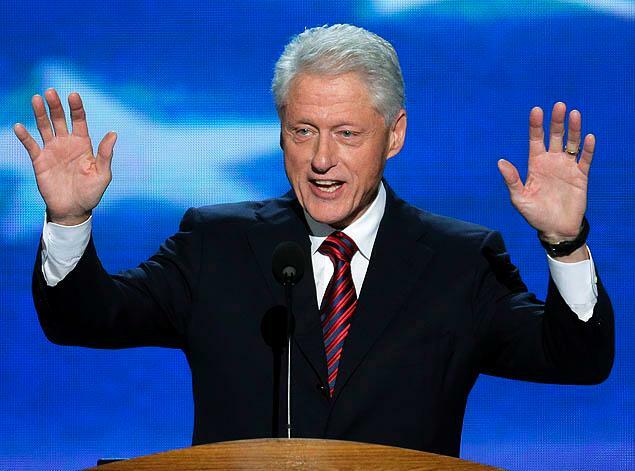 The second day of the DNC was an evening again, emphasizing women and women’s issues, ideas and speakers almost lost with the massive anticipation for Bill Clinton’s headlining speech. Planned Parenthood’s Cecile Richards and Georgetown Law School graduate, Sandra Fluke both presented power-packed performances and struck back at recent GOP attacks on reproductive freedom and access to preventive health care. They were welcome crowd warmers for senate hopeful Elizabeth Warren. Warren gave a speech leveled at corporate interests and reminding voters that there is a clear choice to be made in 2012 between people and profits. But the night, and maybe the convention, belonged to Bill. Appearing before a crowd primed and pumped, he delivered classic Clinton at his best. While typically, Bill was wordy and long, but not wonky. He laid out in plain language the case for Obama and the case against Romney. Breaking it down in the simplest terms, he dismantled the attacks and falsehoods against Obama and his policies and packaged the facts in ways the average voter could understand and relate. 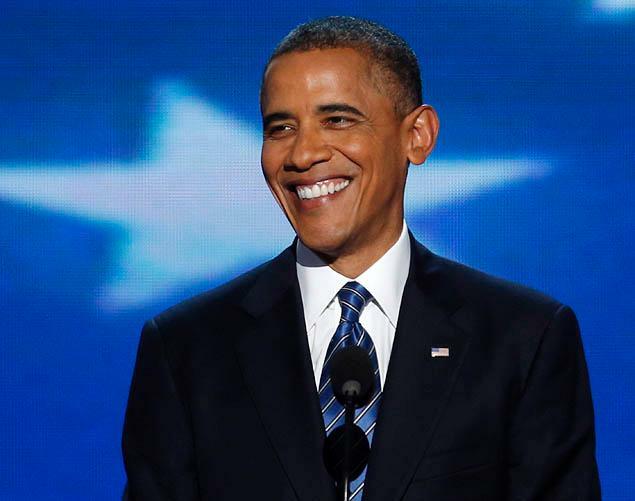 His speech was a dignified, yet pointed offensive in support of what Obama has accomplished and a heartfelt endorsement of what he can achieve in another term. His long running speech was a point-by-point take down of the obstructionist GOP and simplified summary of political maneuvers in the last four years. Laughing and delighting the crowd, he had a serious message to not be confused, the GOP is only going to “double-down on trickle-down”. He offered, with clarity, why the Romney-Ryan ticket would be disastrous and why Obama’s reelection is essential for the future of the nation. Tonight is Obama’s turn. Following this powerful endorsement from perhaps the world’s most powerful man, Obama needs to lay out his vision for a second term concretely and specifically with the same level of detail but with the poetry and inspiration that convinced America we needed him in 2008. Democrats kicked off their bid for 2012 last night. The arena in Charlotte was electrified with energy and enthusiasm for President Obama. Each speaker that took to the podium gave their version of the American Dream, all the while wisely underscoring traditional Democratic platforms and specific policies of Obama’s that enabled them to realize their dreams. It was a challenge to see the failed agenda and stalled vision of this administration that the GOP described last week. The crowd soared with chants of “Four More Years” and “Forward Not Back” clearly still held in thrall with the promise of hope and change from 2008. Unlike the GOP’s awkward avoidance of mentioning their candidate Romney by name, each speaker sang the praises of Obama, not just by using his name, but by speaking to the accomplishments of his term. Nancy Keenan of NARAL and Kathleen Sibelius, Secretary of HHS spoke directly of his championing of reproductive freedom and protecting women’s access to healthcare. Lilly Ledbetter, namesake of the Equal Pay Act, appeared putting a face to a major gain for women’s equality in the workplace. But the night belonged to the keynote speakers. San Antonio Mayor, Julián Castro, made history as the first Latino to headline a convention, gave a moving and personal speech about his pursuit of the American Dream, peppered with his own experiences, the struggles and trials of his family and how Democratic policies supported them and reminded him to carry the baton forward. , ‘My family’s story isn’t special. What’s special is the America that makes our story possible.” There was no avoiding that the special America will be preserved with the re-election of Barack Obama. When First Lady Michelle Obama took stage, the crowd was primed and ready for an enthusiastic welcome. She took that energy and gave a heartfelt, emotional speech about President Obama, the man, the husband and the father. 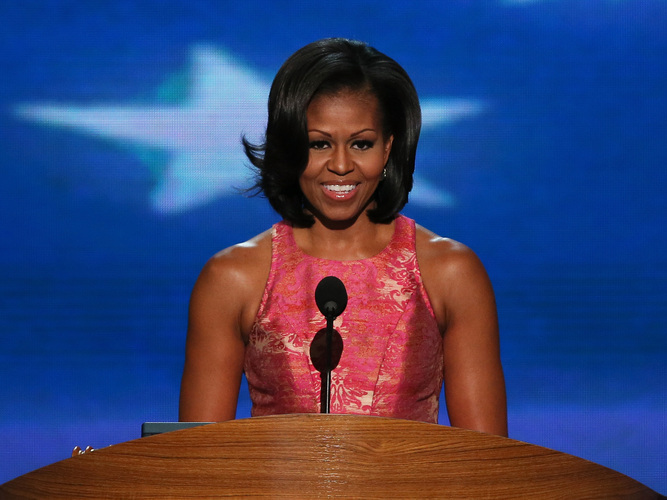 What truly connected to the audience in the arena, and clearly in the living rooms of America, were the anecdotes so personal, often mundane, that highlighted that she and Barack, along with the previous speakers, actually lived tales of hardship and typical struggle and were not just telling tales of prior generations or second-hand stories. She offered a glimpse into how she and the President shared the same struggles, experienced the life of the average voter and that they understood because they too were sitting at their kitchen table trying to make ends meet. She also spoke plainly and compassionately about the troops. Not shying from talking of the wars, she focused on the sacrifices and patriotism of service men and women returning and moving forward with their lives. Last night for the DNC, it was about what Obama has achieved. It was not a plan or vision for the future, but it offered shining examples of how the policies of this administration have touched people personally. Each speaker gave their voice, offered a face to what the American dream was and will remain. It was a tribute to the unique and still universal, American Experience.